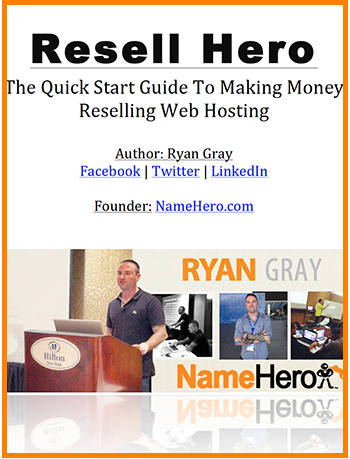 Want to become a domain registrar like GoDaddy, NameCheap, or even NameHero? Using ResellerClub and WHMCS you can have a fully functioning domain reseller website live in under one hour! 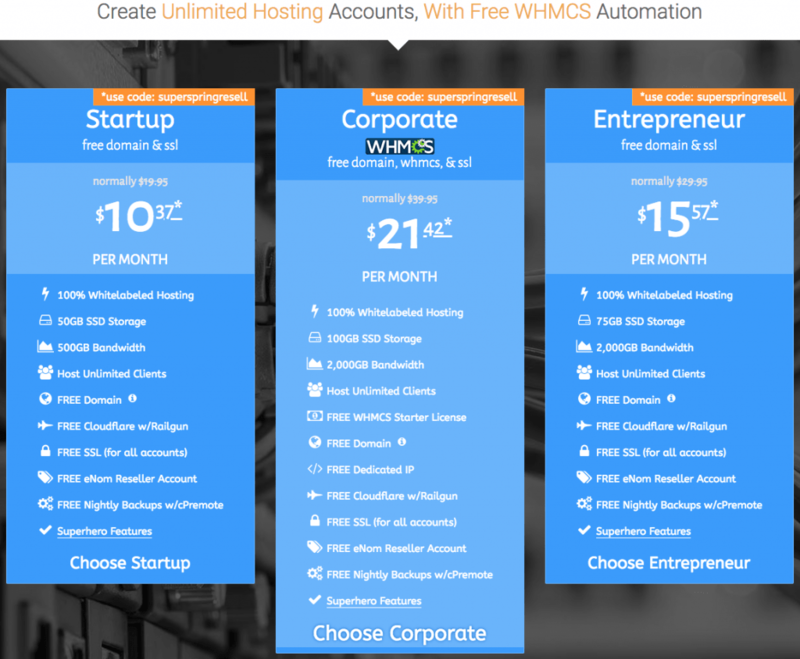 For those unfamiliar, WHMCS is the world’s most popular web hosting automation and billing software. It allows you to sell domain names and web hosting completely white-labeled to your business. 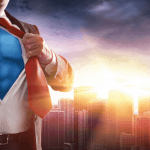 Using our Corporate Hero Reseller Account at NameHero, we give you all the tools to make this happen, including a free WHMCS license! As stated above, you’ll want to go with our Corporate Reseller account as it comes with a complimentary WHMCS license. This is valued at $15.95/month and with our current special going, you get WHMCS + a reseller web hosting account that allows you to also resell our high speed cloud hosting. With our current Spring Sale, the Corporate Reseller is $21.42/month billed 24 months. This price will change over the months, so please take advantage of this special while you can! This is going to be the primary domain of your Reseller website. For example, ours is NameHero.com, so you want to pick a name that is brandable, easy to remember, and spellable. This is the domain you’re customers are going to be going to for their domain registrations, so make it simple on them! If you already have your domain registered elsewhere (i.e. GoDaddy) I suggest using the “Transfer your domain from another registrar” option as it will make life so much easier. 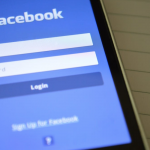 If not, there is still the third option, “I will use my existing domain and update my nameservers” which allows you to leave your domain wherever it’s registered. While this will still work, you’ll have to get with their support team / read their help articles to complete the next step. 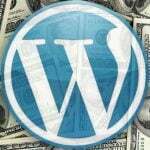 Reselling domains and web hosting is all about ROI. You want to make the most possible and that’s why I HIGHLY recommend going with our 24 Month Price. At NameHero we reward customers for paying longer than 1 year, by providing a free domain registration (or transfer) as well as a heavily discounted price. We’ve found monthly billing to be extremely inefficient here at NameHero as it only takes your credit card expiring to leave all of your customers suspended. You don’t want such issues to happen! By paying for several months in advance you don’t have to worry about making another payment for 2 years and this INCLUDES WHMCS! I also highly recommend the DropMySite Offsite Backups. Since your website is going containing your customer’s data (their domains) you’re going to want to have multiple backups in multiple offsite locations for security. This feature starts at $1.99/month for 5GB, so you definitely want to add it! You’ll sleep better! Finally, you’ll want to select the option for the free WHMCS Starter License. I cannot promise this price will be available when you purchase your account! We’re currently running our Spring promotion so coupons will come and go. None-the-less, you’ll save the most, the longer you signup for :). Once you complete your payment, you need to register your private name servers. This is why it’s a good idea to register your domain with us, so you can do everything inside of our interface. If your domain is registered somewhere else, you’ll have to go there to setup the nameservers. Click Save Changes and repeat for the second nameserver. Congratulations! Everything is now setup! It’s important to note, if your domain isn’t immediately online, the DNS is still propagating. Historically, this process can be instant or can take up to a full 24 hours to become active. Once your domain is active, you’re ready to get WHMCS installed. Using our one-click installer, this process is extremely easy, with absolutely no coding or FTP needed! Once inside, click Install Now! Choose Domain: Most likely you’ll only have one domain here to choose from. In Directory: This is the directory you want WHMCS to be installed in. If you want someone to see WHMCS as soon as they access your site (i.e. https://www.yourdomain.com) then leave this field blank. If not, you can specify a directory such as billing (i.e. https://www.yourdomain.com/billing). Data Directory: Leave this default; whmcsdata is fine. Admin Folder: This is going to be the name of your admin area. Make it hard to guess, but don’t use special characters as it won’t work. Admin Username: This is going to be your username to access WHMCS. Make it hard to guess but no special characters (i.e. @, #, etc.). Admin Password: This is going to be your password to access your WHMCS. Click the key to generate a very strong password (please make it very strong). Admin Email: This is going to be the email address associated with your WHMCS admin account. Incase you ever lose your username/password, you’ll need this to reset it. Make sure you have access to this address. Congratulations – you’ve installed WHMCS! Next, you have to do some simple configurations to WHMCS to make it function. This is very basic information about your company. If you don’t have a logo, you can always go back and add one later. The most important field here is the email address as this will be the email address that all your emails that come from your system are sent to your customers. You should make it one that they can easily reply to with questions. The address will be shown on all of your invoices, so if you have a physical place of business, enter it in there. The next steps allow you the ability to start taking payments. If you’re just getting started, you probably just want to use PayPal. If you have an existing PayPal account for your business, enter the email address in here. If you don’t have one yet, enter the email address you’d like to use, and when you receive your first payment, you’ll be emailed instructions on how to claim the payment and complete the setup of your account. 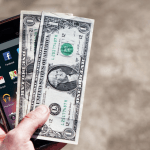 They also have the option here to setup your own merchant account which also gives you the ability to accept credit cards. There is a bit more involved in this setup and I actually would recommend using Stripe. Therefore I’d skip this for later if you’re wanting to use something other than PayPal. I don’t however recommend accepting payments mailed in. This is 2018, if people are still having to mail in payments, there is a slim chance you’re going to get paid. This next step is very important. It is the step that is going to allow you the ability to process domain name registrations and transfers. The first option you should check to enable it. I would also enable the recommend Popular TLDs. The price is going to be the price to your customers. I would set this at $14.95 but we’re going to edit that later in this tutorial. 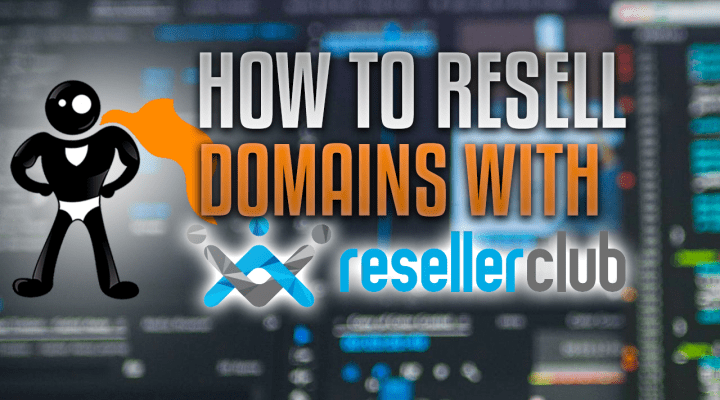 For this tutorial, we’re going to be using Reseller Club. I do not recommend Enom! Enom used to be the “go to” choice for resellers. However, they were recently acquired by Tucows and their support is awful (it was actually bad before the acquisition but now they don’t seem to be to much focused on gaining new business). I’ll show how to integrate Reseller Club in a few more steps. This step is going to integrate your NameHero Reseller account with WHMCS so you can offer your customers web hosting. You can find your Hostname in the same step above where you found your nameserver IPs. For this example, mine is silas.uswebhost.com. Your username and password are going to be inside of your welcome email from NameHero under New Account Info. Once you enter this information, click Verify Connection and it’ll populate the other fields. Click Next and then Finish to complete the setup wizard. Congratulations – you’re almost ready to begin selling domains! Once you complete the setup wizard, you’ll be left on your main admin dashboard. Next, you’ll need to register for your free Reseller Club account. You can do so at this link. Give it a few minutes and you’ll receive an email with all your account details. On the same page you retrieved your API key, you need to whitelist your NameHero IPs to have access to their API. Click Save whitelisted IP addresses. Congratulations – you’ve integrated your ResellerClub account! The final step is to setup your TLDs as well as the price your customers are going to pay. You’ll notice WHMCS allows you to set different pricing depending on the number of years the customer decides to register for. This is where you can reward them for longevity. At this time, it’s a good idea to review your ResellerClub pricing so you can make sure you’re setting the prices higher than your cost for the domain. Use this to set your prices for each TLD accordingly. You can also use this list to add some of the new gTLDs (i.e. .cleaning, .click, etc.). Once you finish all this you’re all set! It does take some time to get all the data entered, but I would suggest going for the most popular TLDs first as you’ll find they make up most of your orders. 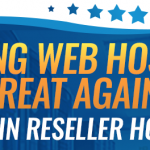 Congratulations – you’re now ready to start reselling domains with Reseller Club! Keep flying high… and thanks super for sharing so much to help us…. This is super for us and we can start with resellerclub. (this is a very good option for us). Keep it up NameHero and look forward to work together with you guys.